Buying and selling links go against Google’s guidelines. Why is that? There is a simple explanation for this. Google search algorithm heavily rely on backlinks and will continue to rely on the backlinks. The more backlinks your website has the better you rank on Google search result. However just the backlinks are not sufficient. Google search algorithm has evolved a lot and it gives more importance to a backlink from reputed websites. The next question is how to get backlinks from reputed websites? The answer is Money. Let me tell you the truth, barring few links which you see on reputed websites, all backlinks on these reputed websites are paid ones. No reputed website will give you a backlink for free. So which websites are considered to be reputed? Without thinking twice you can name all the major news web sites to be reputed. BBC, Times Online, New York Times, The Guardian et all are all considered to be reputed websites. These website are also favored by Google search as they are always updated with latest news, views and other content. Now the million dollar question, how to get a backlink from these reputed websites? The one possibility to get a backlink is that someone spots your website and writes about it and links to you. That is very rare until and unless you have already made a big news story. The another way to get a backlink from these so called “reputed” web sites is to pay to someone to write about your website and give backlinks from those stories. Sounds easy? Yes indeed. If you have loads of money to spend then nothing is impossible. The next hurdle is how to find out who to pay to write about your website? That is not too difficult either. Hunt for the bloggers, Journalists and PRs who are already doing such kind of paid story writing. I was, perhaps, too lazy to reveal this secret but finally decided to nail it down for the make benefit of the glorious world of SEO. As you can see there is a link to WorldStores and that link is a dofollow link. A dofollow link is followed by Google and included as a signal in it’s search algorithm. And a dofollow link from BBC website will get them to higher ranking on search result. There is one more link, linking to WorldStore’s Mattress site. Now there could be a heated debate on whether this story is an intentional story (read paid story) or a reported story (organic). Read the story again and if you are from SEO world then you will not even give it a second thought but to conclude that this is an intentional and paid story and Rory Cellan-Jones has been given some kind of incentives or has some connection (friendships, distance friendships etc) with WorldStore. This is certainly an advertisement and not a news story, and as per Google’s Paid Link guidelines these 2 links should have been nofollow. Rory Cellan-Jones is from technology world but certainly he is lame when it comes to the Google search algorithms and backlinks. Even if I had to write something about skype then I wouldn’t mind linking to at least skype’s website so why didn’t Ror linked to skype website from the above article? Reason is obvious, he didn’t get any favour for in doing so. Try some of his other blog posts http://www.bbc.co.uk/blogs/thereporters/rorycellanjones/about_rory_cellan-jones/index.html#jump_more and you will easily find out what is going on. So SEOs what are you waiting for? Want higher ranking on Google search result? Get to know someone in the BBC who can write a paid story for you with some backlinks. And not only the BBC but most of the other news sites do the same, it is just matter of some clever investigation to find out in which section they do and how to contact to get it done. It seems this post has created quite a good interest on Reddit. Get involved on Reddit. Tx man you are genius. 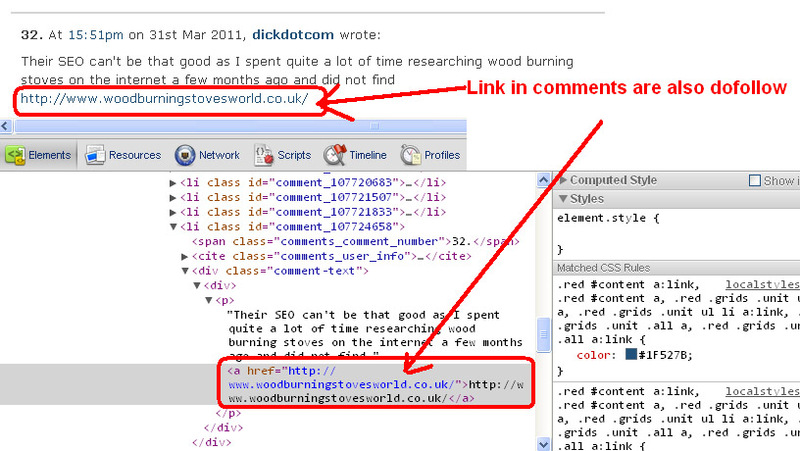 I was always wondering how come those blog posts have links in them. Google is biased towards big web sites. If BBC sells link then it is ignored and if we sell link then it is penalized. No Shame but that is obvious. Business is all about making money, Google makes money from big corporates and so does favour to them. Nice article. How much these BBC bloggers charge for a backlink? £1000 or so. But it might not be all money. Contact, favour, friendship can also get you a backlink for free if you are lucky. But it all comes down to contacts. BBC is rubbish with SEO. They should add nofollow attribute in comments at least before it is too late. I wonder if BBC has any SEO team at all? They don’t need SEO. However it seems they certainly need some helping hand in SEO now. I enjoyed your article. I am amazed this hasn’t been picked up by a UK newspaper. Maybe it is too complicated for them. 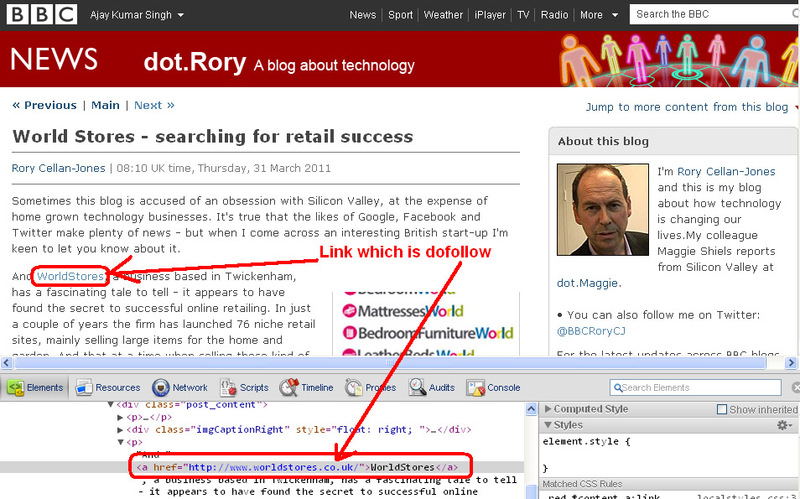 I have only just found out about nodofollow links, it really is an eye opener! 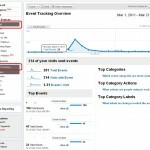 Great article Ajay – didn’t even know about do follow and nofollow until I read this post. And to think the BBC is engaging in such practices… shameful! I have notified the BBCs legal department about your slanderous accusations about them buying links. Writing a blog post which is published in a public forum and directly accusing them of selling links is inviting legal action against yourself. As a publicly funded authority, they should not be selling links and if you are correct, then action should be taken against the author of that particular entry. However, if you are incorrect, then legal action will be taken against you. Oh I’m now really scared. Right? Is this you? Isn’t it? What is next you gonna sue me in Indian court for exposing your details to the public. Have you managed to find other examples of them doing this? 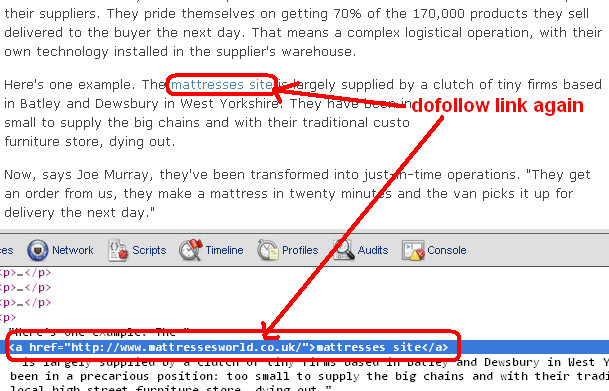 how to find if a link is dofollow on a given website, how did you open that bottom bar? Really good work. I am looking at attracting some good links towards my site and BBC would be a great one. But for a publicly funded organisation to be doing dodgy back links deals not on. Very nice tutorial and it helped me a lot. Thank you for this helpful article.